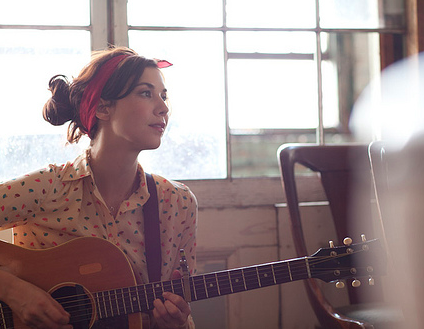 I just fell in love with Lisa Hannigan. Her sweet voice, her tender lyrics, her old soul charisma. Watching this video makes me wish I could play the mandolin... on a train, while travelling across the country. 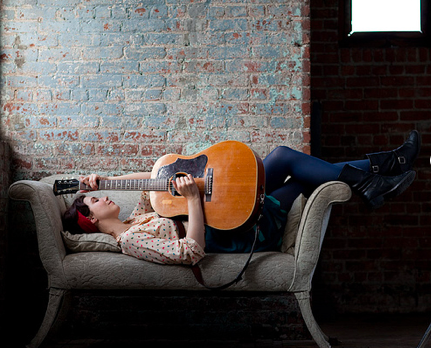 LISA HANNIGAN - Passenger from Mitch Fillion (southernsouls.ca) on Vimeo. Wow! She is adorable and so talented. Love that first shot of her. Love her! I used to listen to her all the time but forgot about her until you brought it up! Thanks for reminding me. And her videos are so sweet and whimsical! I love love love Lisa Hannigan - I saw her play in Belfast in the spring and can't even describe how wonderful it was!